Earth Day is April 22nd! Looking for some outdoor activities to celebrate Earth Day? I’ve got you covered. 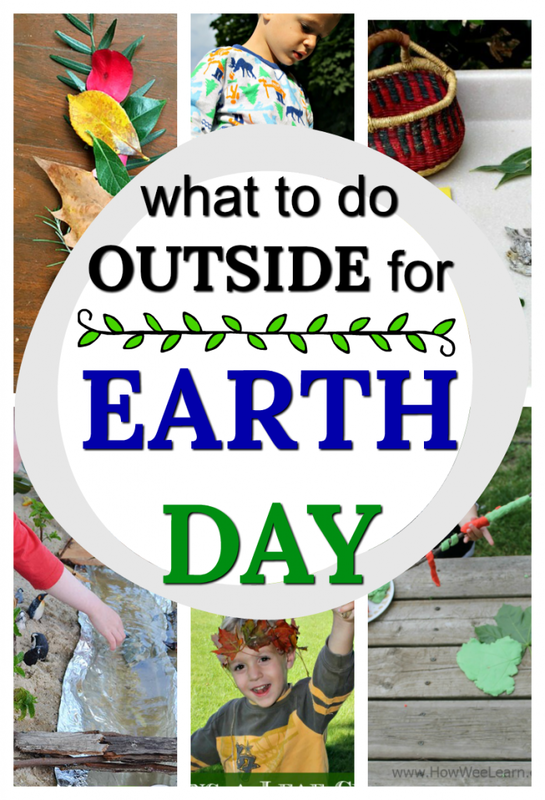 Any day is a great day to get little ones outside, but Earth Day?! This is a day that practically screams for outdoor activities. I have seen oodles and oodles of cute crafts for Earth Day (like this adorable coffee filter Earth), which are all well and fine, but let’s get those little ones OUTSIDE! Afterall, in order to raise a generation who fights to protect our Earth, we must first let them experience what they are fighting for. Nature Walks. It cannot get simpler than this! Simply grab those chubby little hands and get those little ones out in the woods, a park, or even the neighbourhood. I wrote last year all about different nature walk ideas. The pipecleaner one is my personal favourite. Nifty Nature Belts. 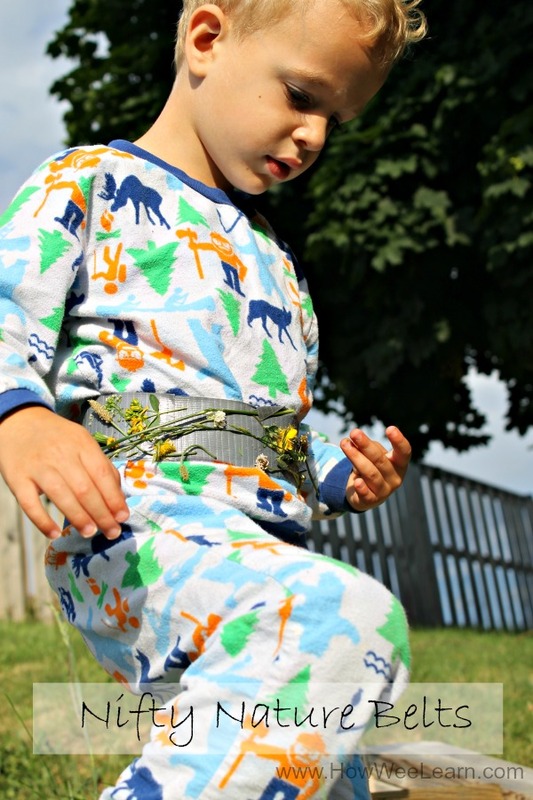 A super simple and remarkably fun outdoor activity for Earth Day is this Nature Belt. 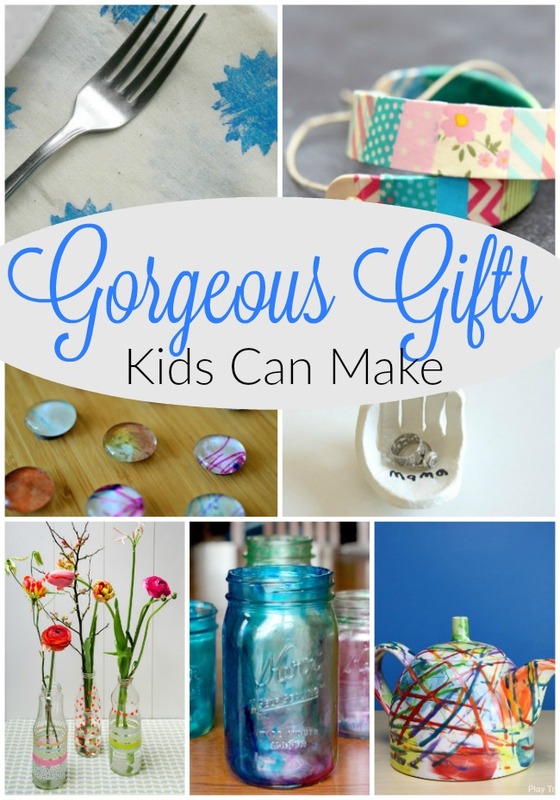 It is made from duct tape and the kids absolutely adore sticking their nature treasures on to it. Sew a Nature Crown. Spring is starting to bring those green leaves out on the trees around here. 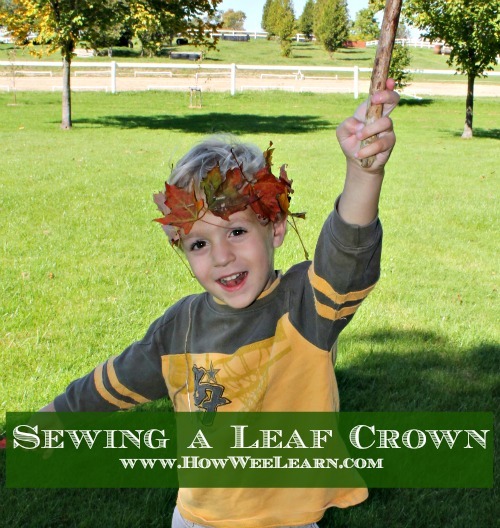 If you have leaves already this year, sewing a nature crown is such a fun thing to do as outdoor activities for Earth Day. Take the Playdough Outside. 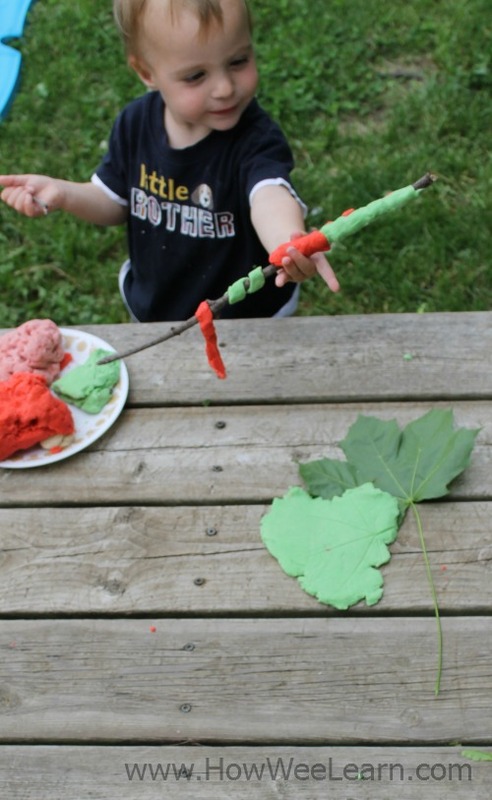 If you have some playdough on hand, preferably playdough that is on it’s way out, bring it on outside! Little ones can explore different textures and patterns Mother Nature has to offer. Loads of nature learning to be had with playdough outside. Make a River, by Picklebums. It is truly amazing how rivers are formed, isn’t it? 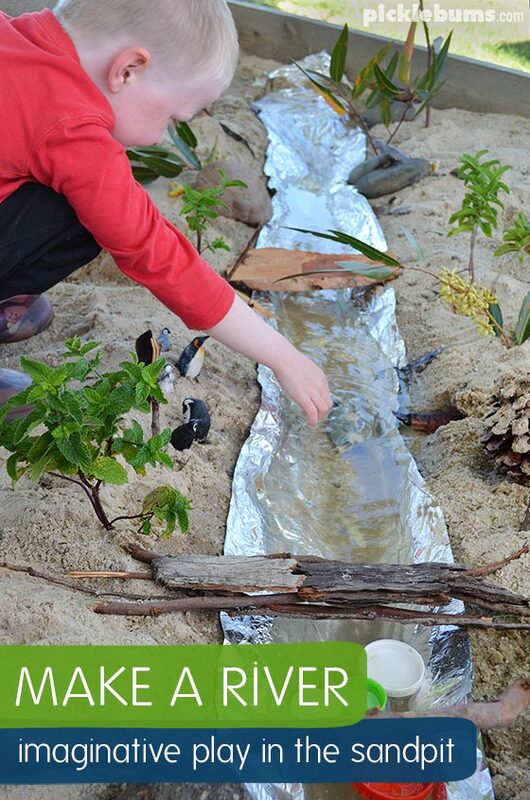 Why not let the little ones play in a ricer and explore all about erosion and how water flows with a tin foil river! 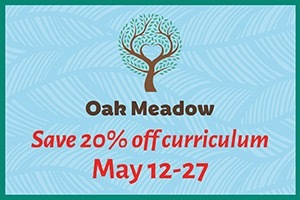 A great outdoor activity for Earth Day. 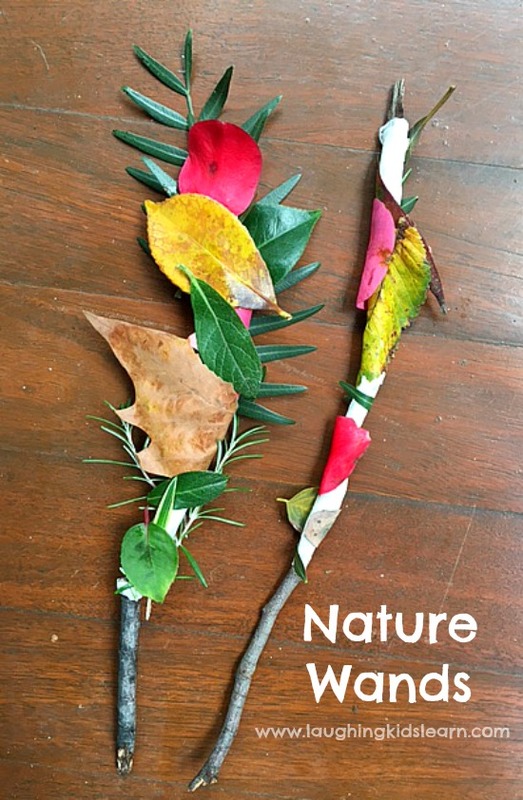 Earth Day Nature Wands, by Laughing Kids Learn. My kids love hunting for that ‘perfect’ walking stick. I know they will adore searching for the perfect stick to turn into a magic wand this Earth Day too. 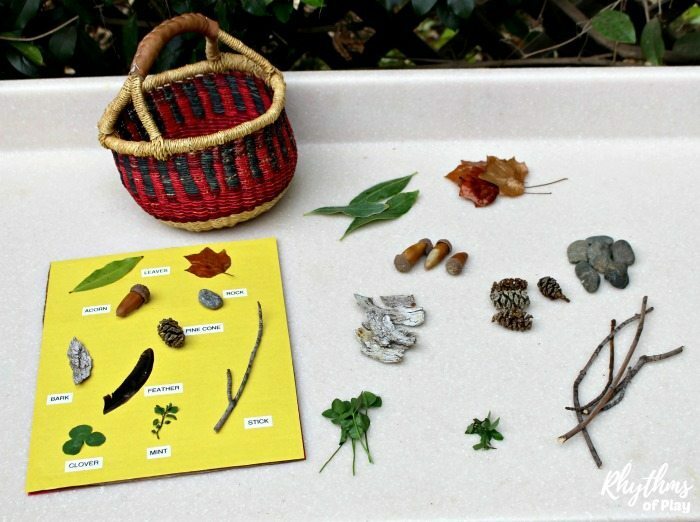 Nature Scavenger Hunt, by Rhythms of Play. 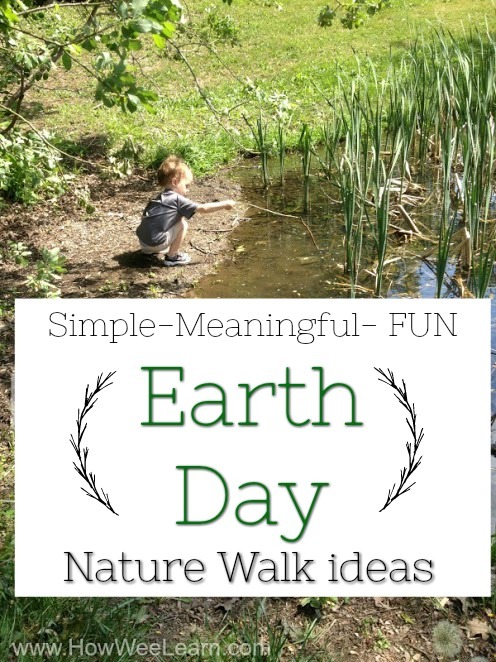 This is such a fun way to explore nature for Earth Day. 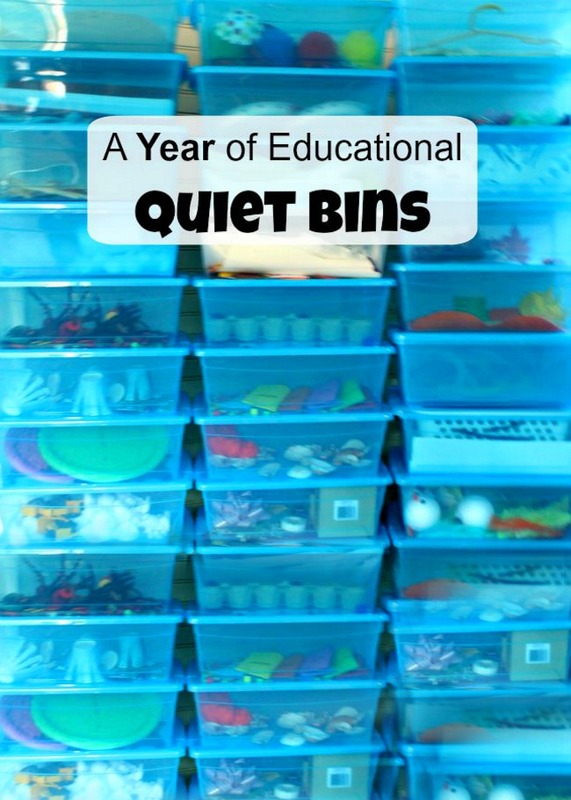 Create a simple scavenger hunt and let the kids run around to explore, match, and learn. There you have them! 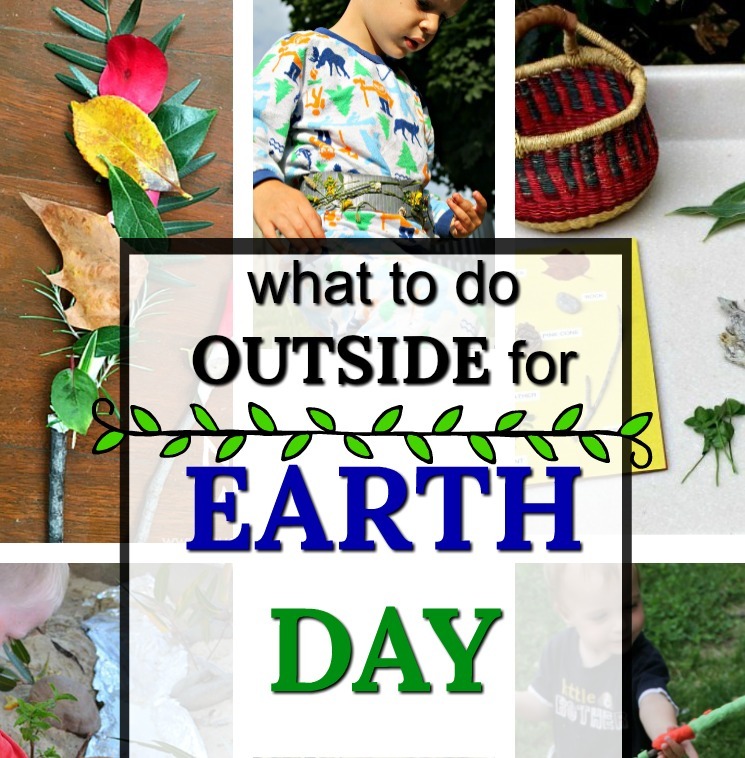 Lots of fun and easy outdoor activities for Earth Day. I hope you and your little ones find an activity that is just right for you and you enjoy some time in the great outdoors together. Maybe you could even stretch it out and enjoy an Earth Week with a simple outdoor activity planned for each day! Why not? Spring is such a beautiful time to explore. Thank you so much for reading friends. Happy Earth Day!! !